Christopher Reider represents the leader of Troop 201 at Immaculate Conception Church the National Catholic Committee Pope Paul VI Unit Award. 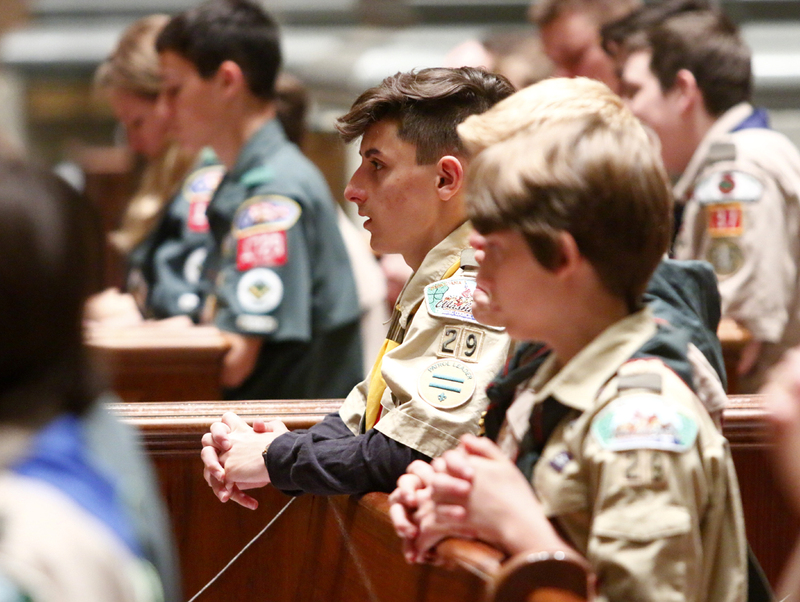 Cody Kulik from Troop 34 at St. Jude Church, Chalfont, helps Archbishop Charles Chaput with his homily during the scout Mass. 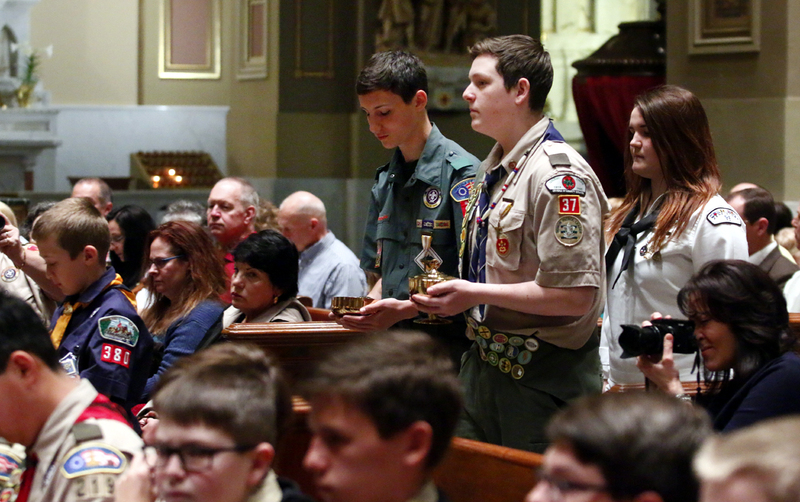 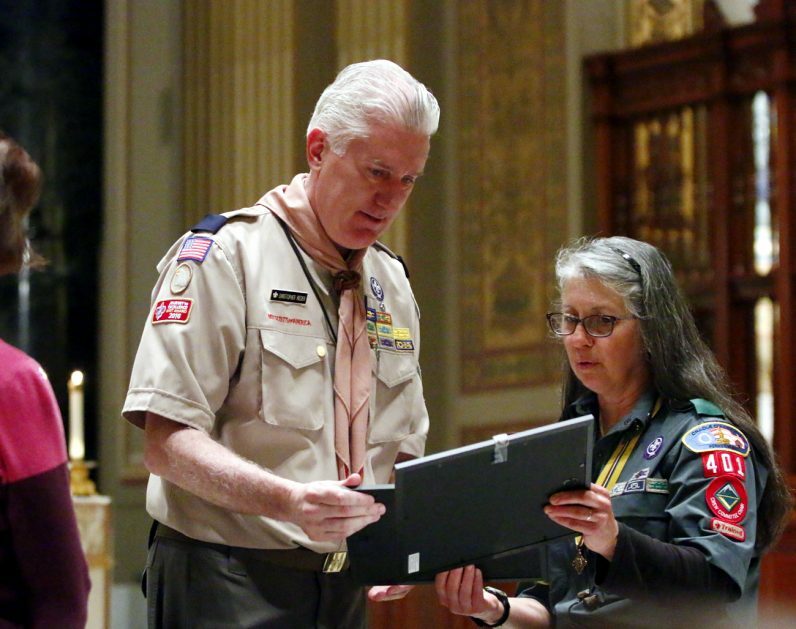 Boys and a girl active in Catholic Scouting bring up the offertory gifts during Mass. 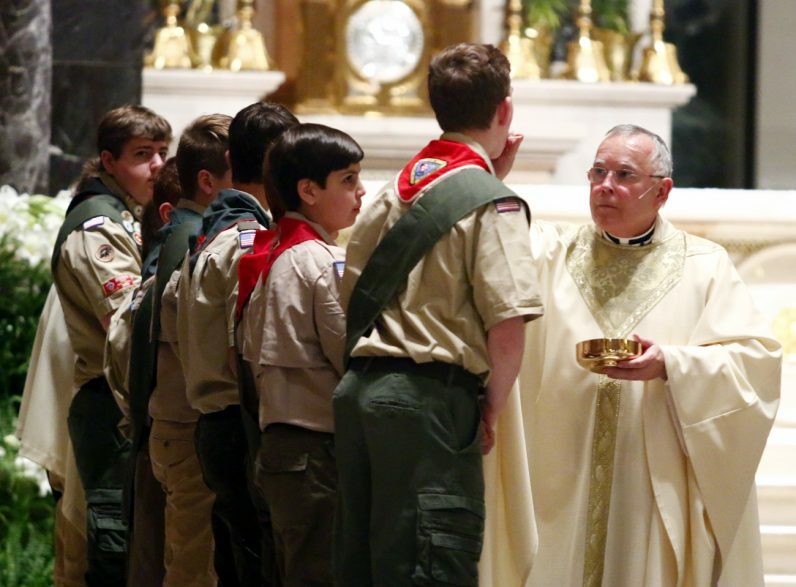 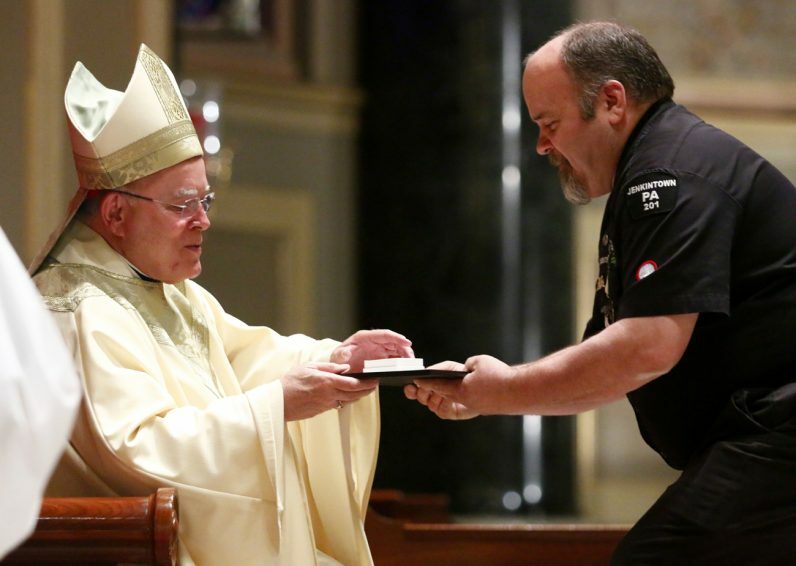 Archbishop Charles Chaput celebrates the Scout Mass as Father Dennis Gill, rector of the cathedral, concelebrates. 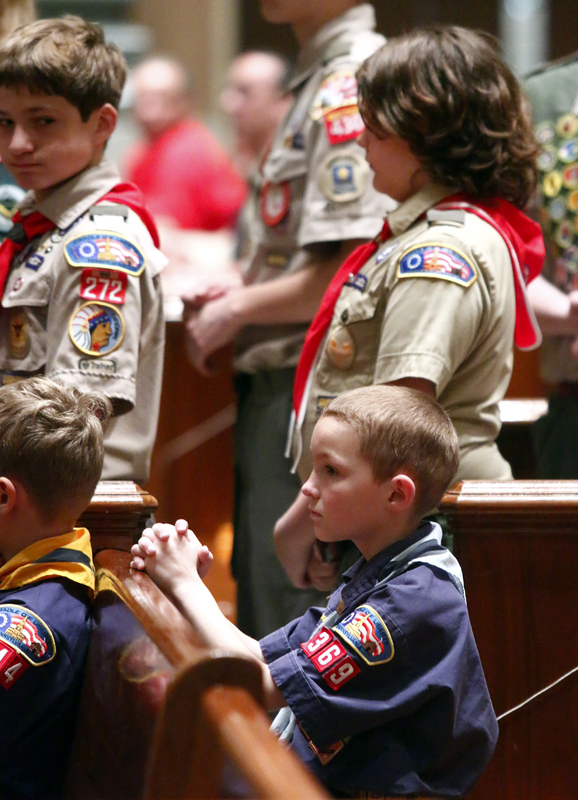 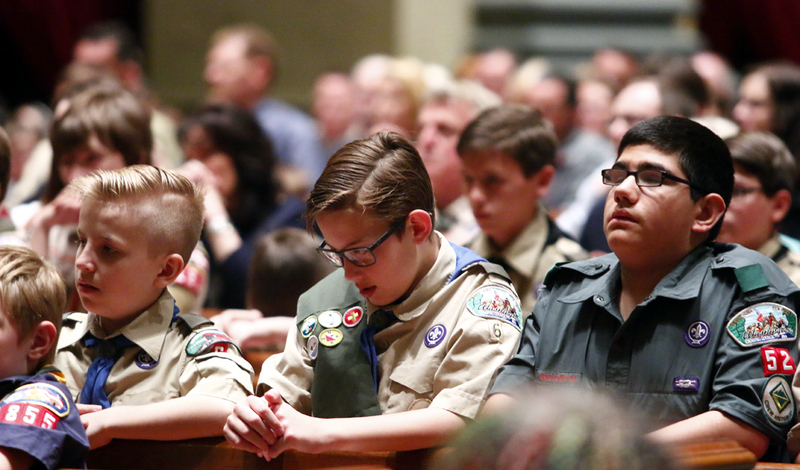 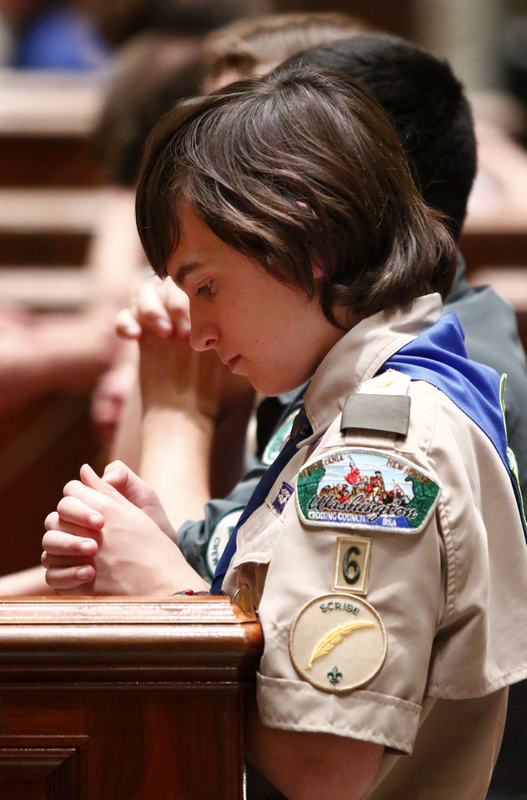 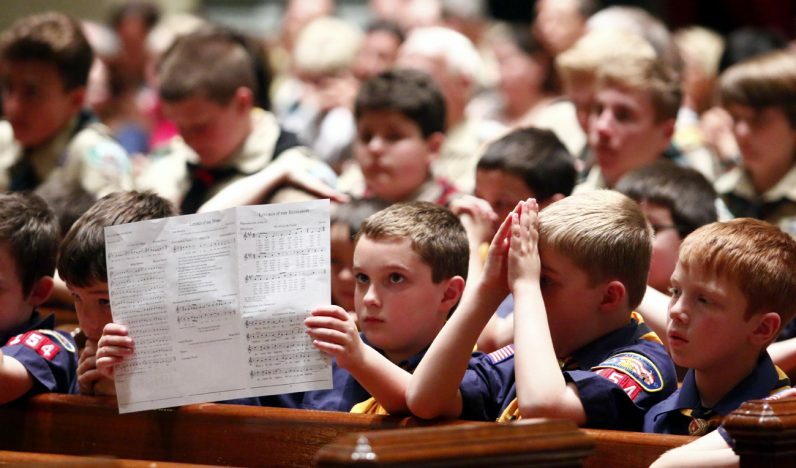 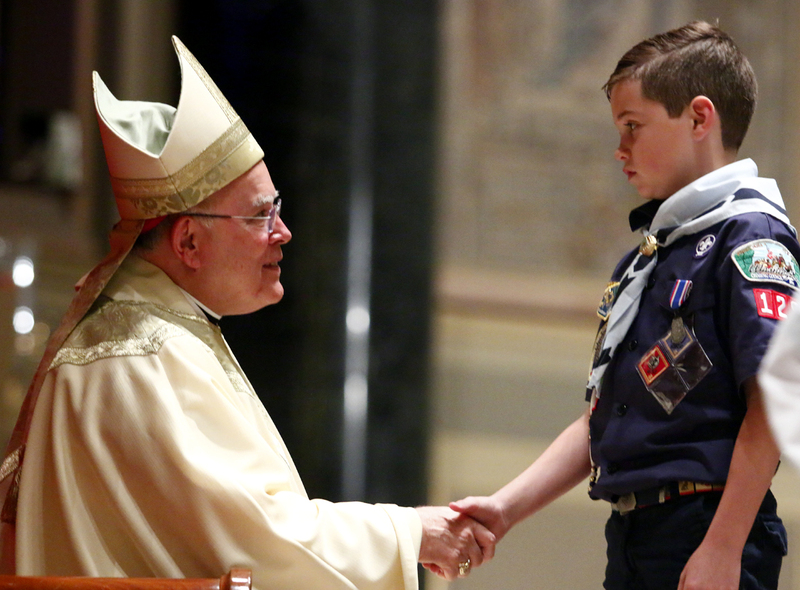 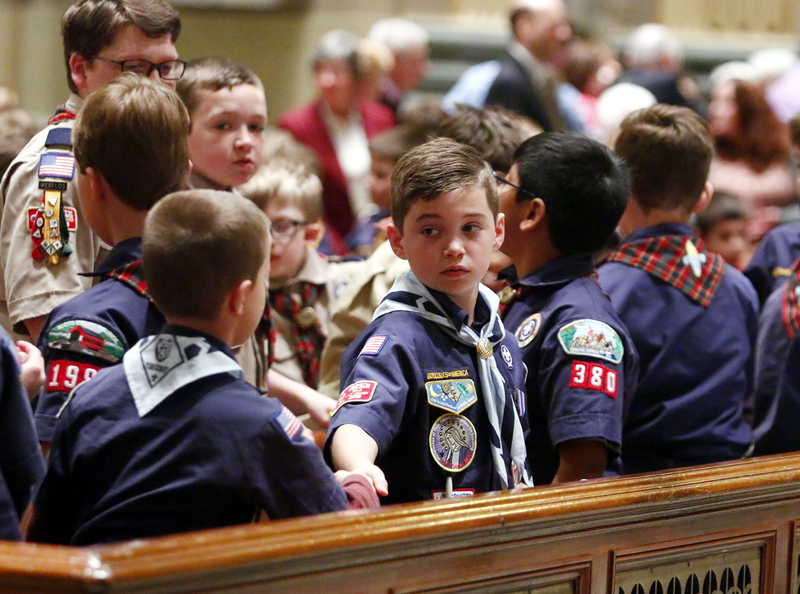 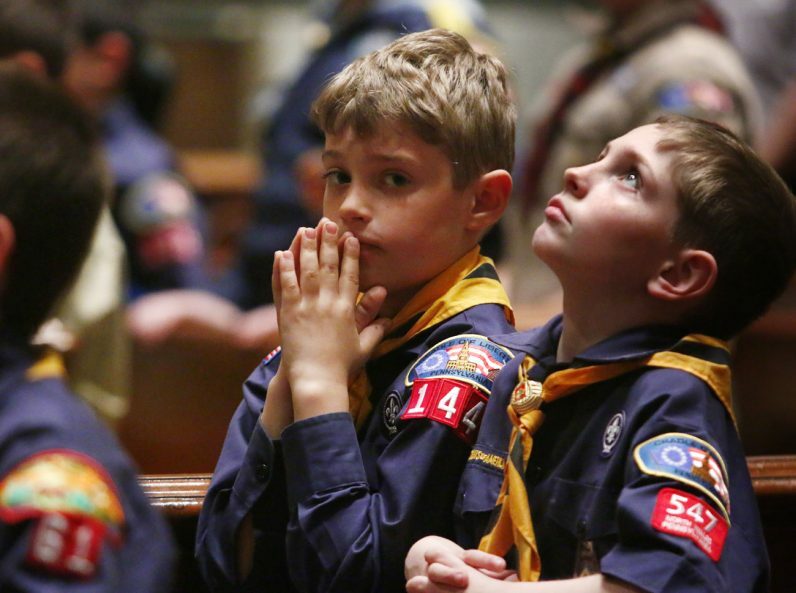 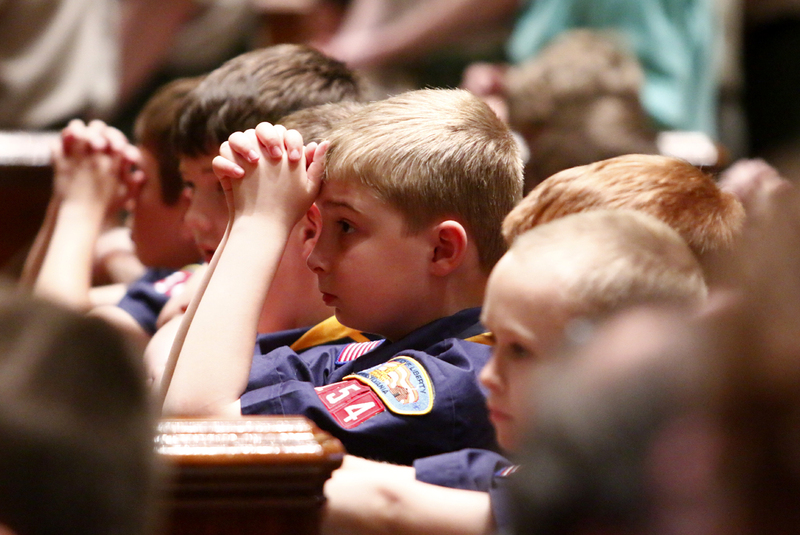 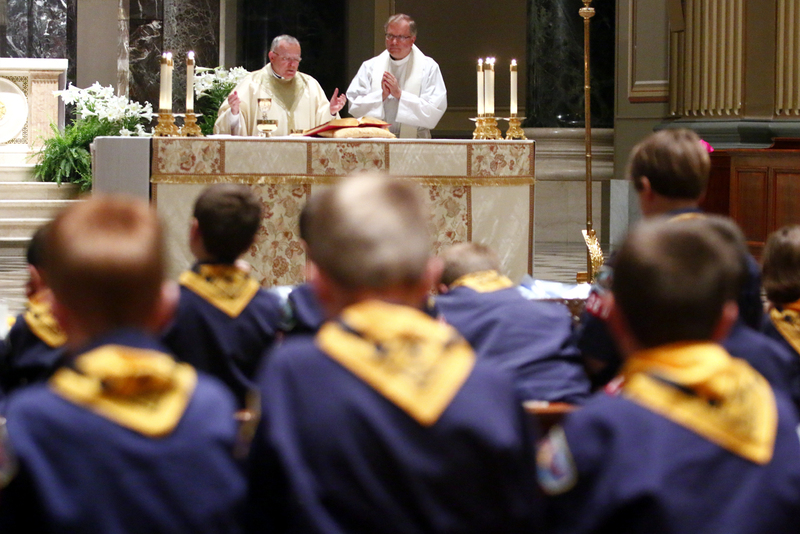 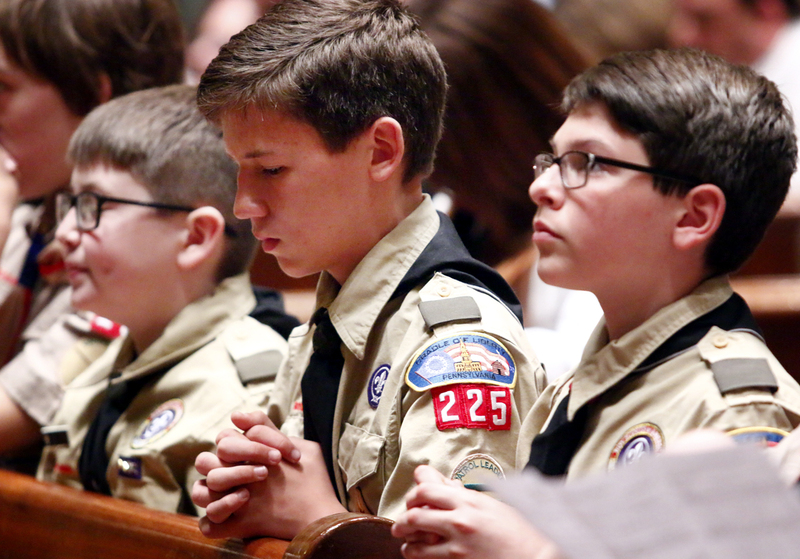 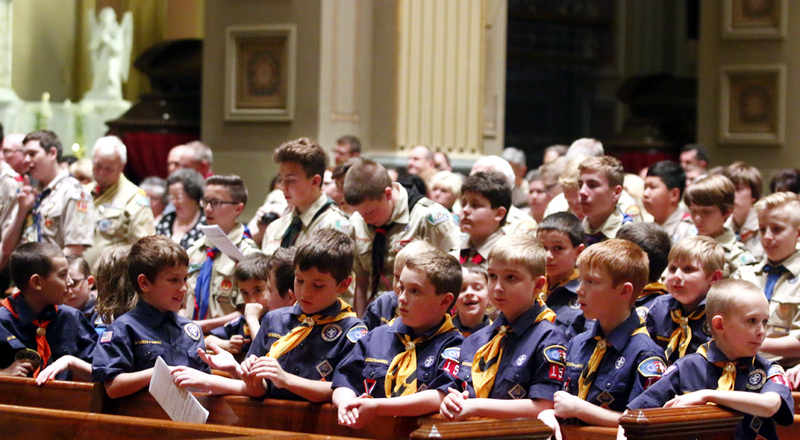 Young men offer one another a sign of peace during the annual Scout Mass. 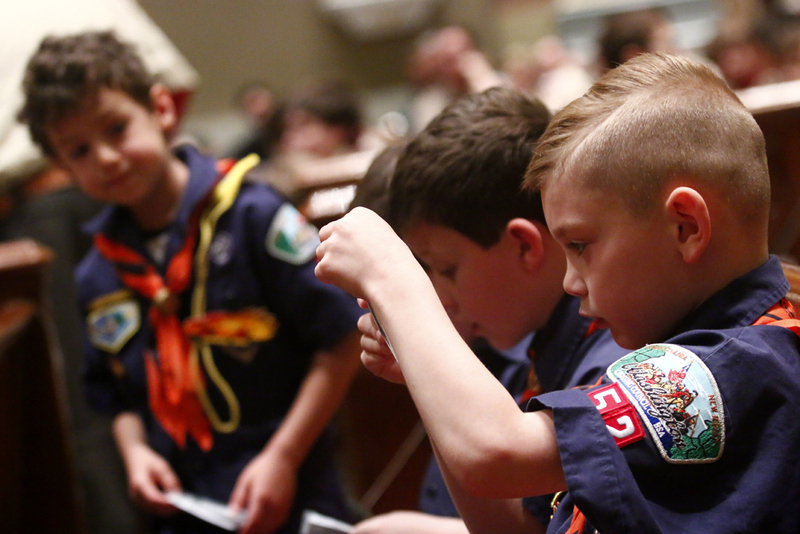 The boys eagerly check out their awards. 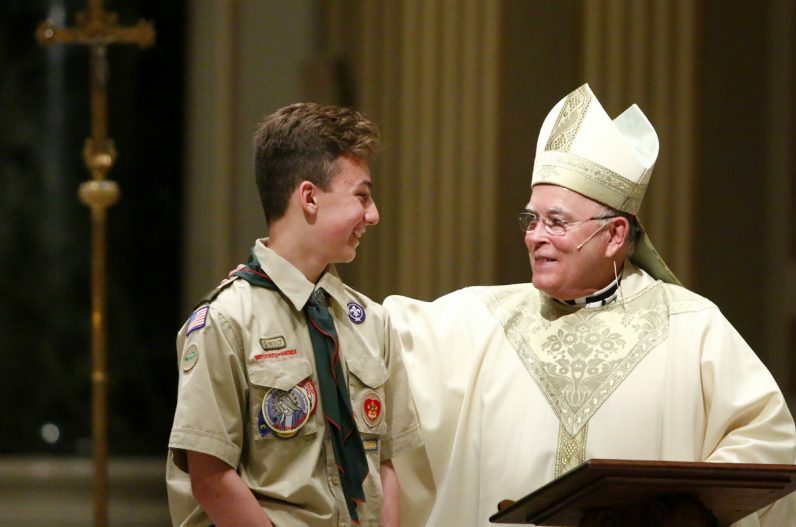 Archbishop Charles Chaput congratulates Vincent DiGirolamo from Troop 128 from St. Ephrem Parish, Bensalem, on his Parvuli Dei Emblem. 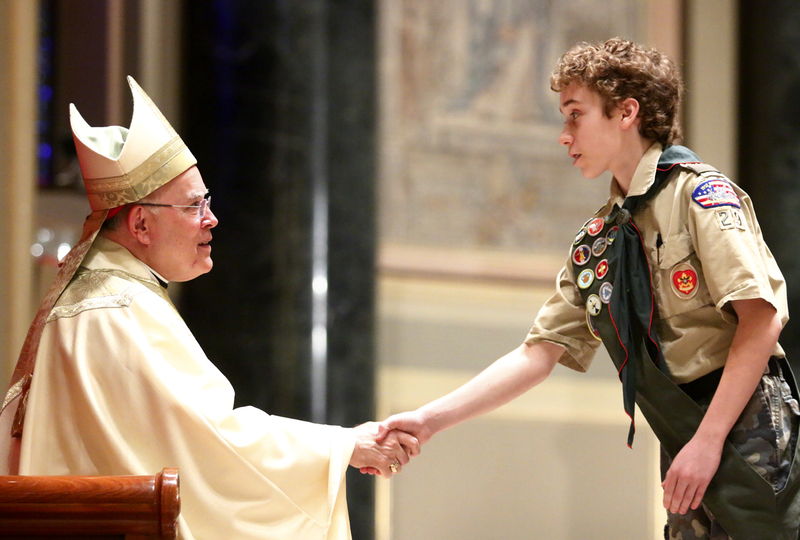 Matthew Simms from Troop 29 receives the Ad Altare Dei Award. 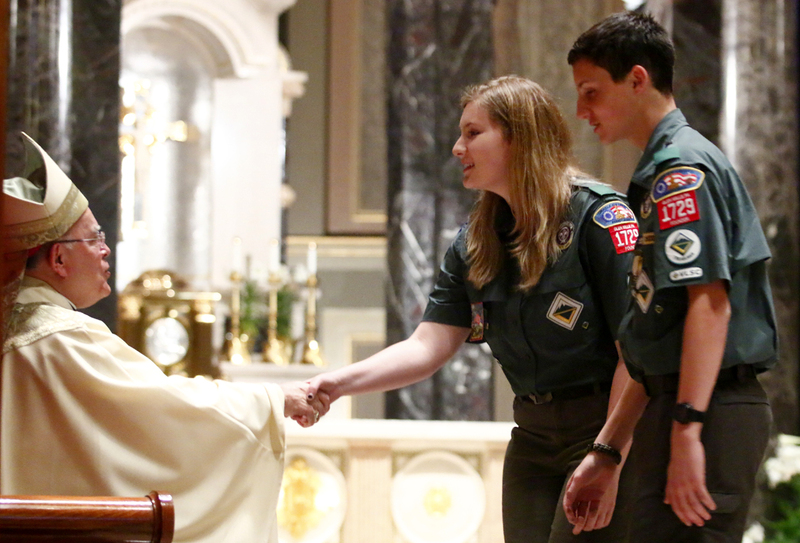 Archbishop Charles Chaput congratulates siblings Emma and Clayton Bromley from Crew 1729 at St. Thomas the Apostle Parish, Chester Heights, as they are awarded the Pope Pius XII Emblem. Robert Gabage presents Archbishop Charles Chaput with the St. John Neumann Emblem.